Hi everyone! I have such a fun tutorial for you today! I love little knitting, crochet, and craft supply bags and so today I’ll show you how to make this super easy Patchwork Mini Tote Bag. 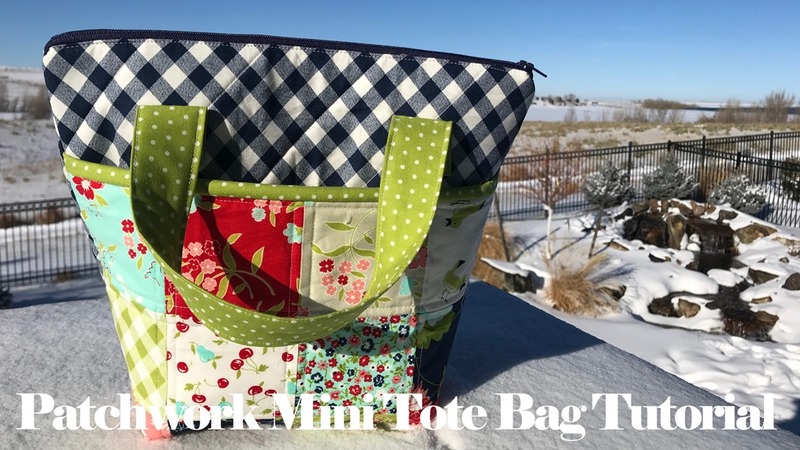 Download the Patchwork Mini Tote Bag PDF cutting instructions here! 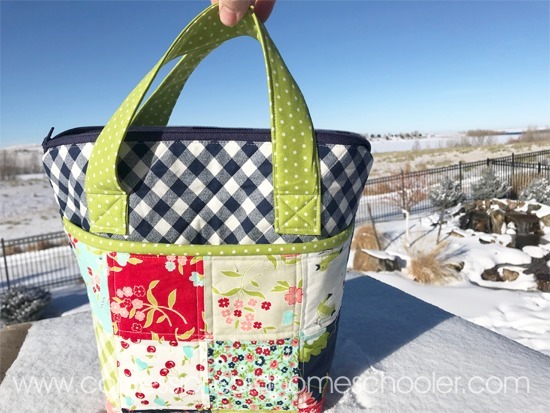 This bag is a great way to practice your quilting skills and maybe even learn something new! 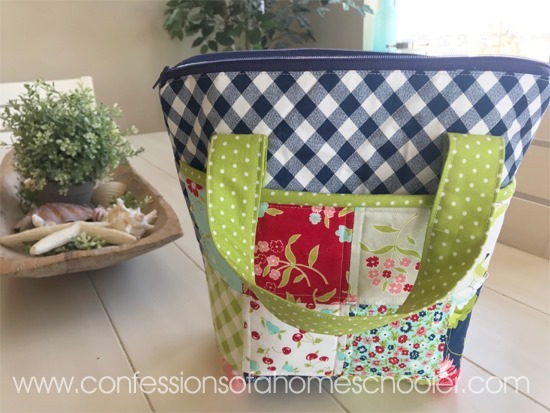 I’ll be showing you how to do a simple patchwork panel with binding for the front pocket. 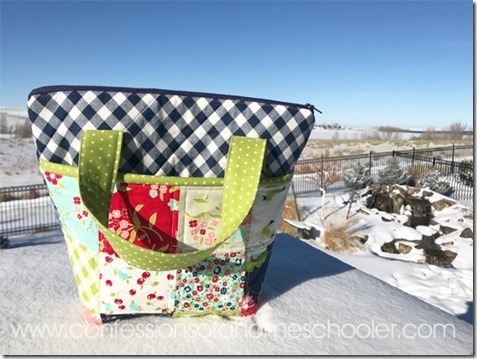 You’ll also learn how to add a zipper to your project. I know zippers can seem daunting, but trust me it’s so easy you’ll be glad you gave it a go! We’ll also be adding a fun inside pocket that you can customize to fit your needs. 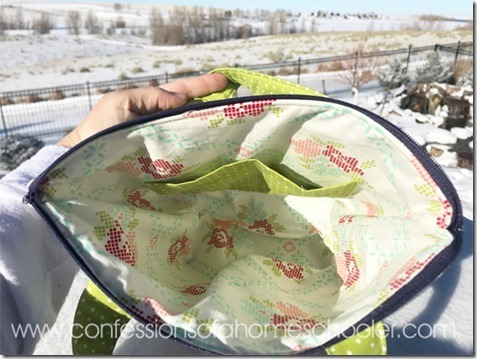 I like to put my knitting needles, extra scissors and stitch markers in here! I’ve also added these cute accent handle straps so you can carry your mini tote bag around with you wherever you go! 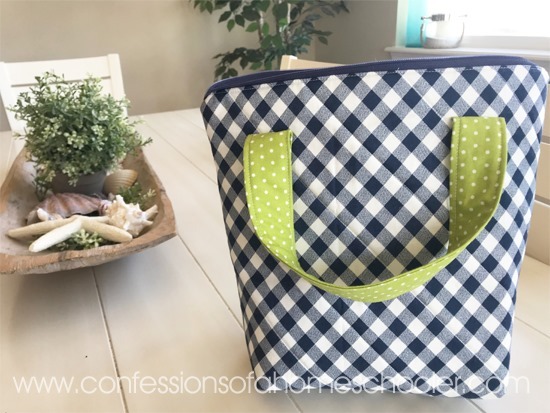 What a cute bag! I am pulling fabric tonight from my stash to try putting one together! Thanks for the tutorial! Awesome looking bag! 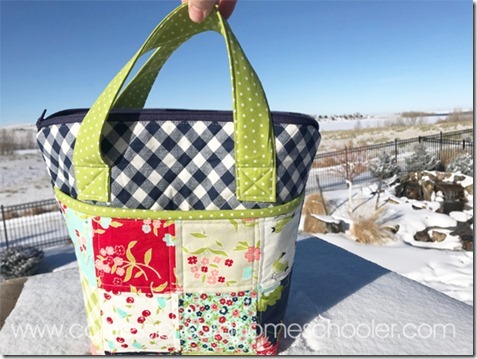 Going to make one to hold each of my crocheting projects. 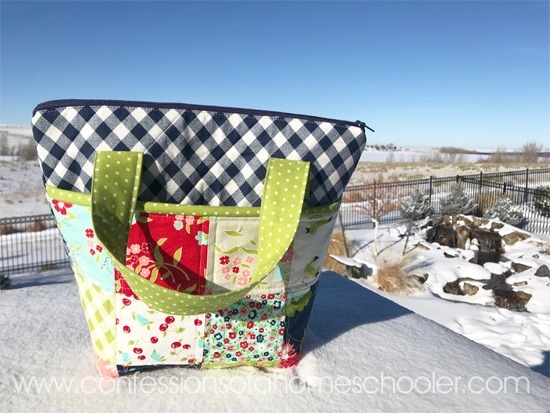 Thanks for the free pattern, PDF and YT tutorial. Really cute Bag, going to make one today, thanks for the pattern! Nice bag! This will definitely be one of my projects. 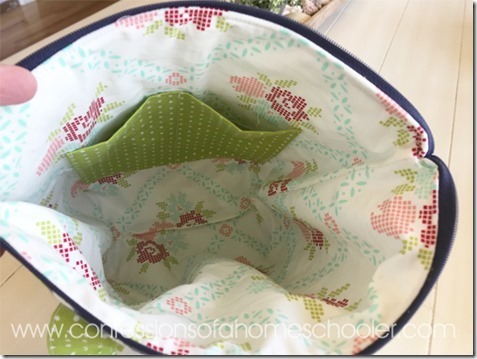 this could also be a great bag for carrying baby items as well. thank you for the free PDF and the tutorial. Thanks for video and free PDF . I will make this for my granddaughter as a gift.